My friends Takae and Shinobu recently moved back from England where they’ve been studying for the last year, and immediately life is more fun than it already was. Recently we went out for dinner together at an amazing robatayaki restaurant next to Umeda Station. 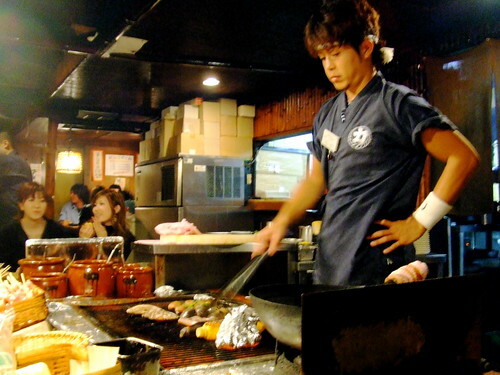 The robatayaki grill-chef was astounding — he had some sort of special work rhythm going on that was mesmerizing. It was as if he were performing some kind complicated grill dance that somehow also resulted in food showing up directly in front of us in a most delicious state, precisely when it was needed. After robatayaki you must have chocolate croissants. These make Takae and Shinobu happy, and hand-gesture-ish. Here’s an old picture I took of Takae before she left for England. I don’t know why I never posted it, because it’s one of my all-time favorite pictures. 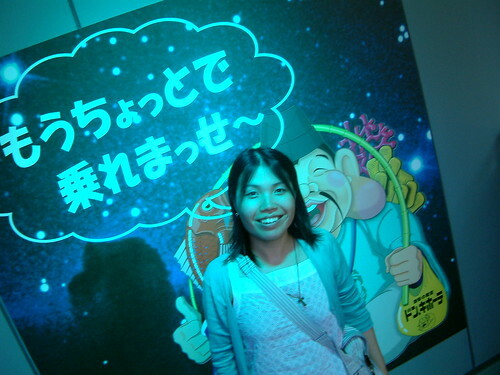 Takae is speaking in enormous word bubbles! Since Shinobu lives far away, she had to take an early train from Umeda. 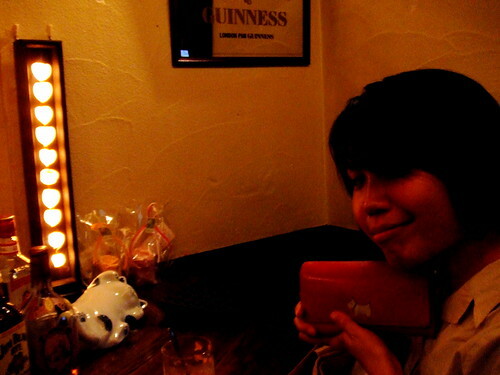 But Takae and I decided to have a second drink, so we went to a small bar I know called The Cat’s Brow. Actually, the name of the bar refers to its small size — I think there are only six seats in the entire bar, which curves away from the door until it ends about three meters back. The ceiling’s not very tall either. But what The Cat’s Brow does have are some of the most delicious nama tezukuri drinks in human existence. “Tezukuri” means ‘handmade’ and “nama” means ‘fresh,’ so you can probably get a pretty good idea of what I’m on about here. Takae had a Bloody Mary that was made with fresh, garden-grown tomatoes and I had my first Mint Julip of all time, constructed out of mint that the Master had picked from his garden that very morning. The Master also gave us some of his homemade vodka/coffee liqueur, which was thick-richness flavor embodied. Incidentally, the Master used to be a customer at The Cat’s Brow, until he decided to take over ownership. And he doesn’t open on Saturdays or Sundays because he likes to fish. A week or so after having drinks at The Cat’s Brow, I met up with Takae and Takae’s friend Rin at the annual World Beer Festival, which is held at the Umeda Sky Building. We had a ton of delicious food stand magnificence (kebab in a pita! mussels!) and plenty of beer, of course. And afterwards we went to the Mambo Café for some more drinks. 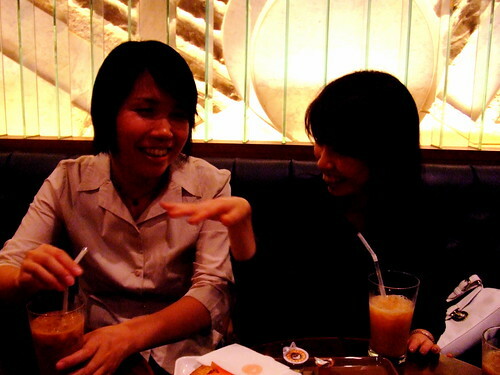 At which point Takae told us her yakuza story. Yakuza story: An acquaintance of Takae’s was down in Shinsaibashi one night, and kept hounding a particularly beautiful woman for her number. Eventually he got it, and he sent her a text message, or made a call, or something of the sort, and they arranged to meet. But when he got to the place where they were scheduled to meet, instead of a beautiful woman, there were a bunch of burly yakuza who proceeded to drag him into one of the two cars they were driving around in (presumably white Mercedes?) and kidnap him. He ended up spending two days inside those cars, being driven from place to place while the yakuza threatened him and demanded money. In fact, it turns out that the girl whose number he had gotten was the girlfriend of one of the yakuza. And it turns out that it cost around $6,000 to get out of the backseat of the car that he’d been held in. But the best part of the story is that apparently Takae’s acquaintance is some kind of business negotiator, so he managed to talk the yakuza down from their initial ‘offer.’ Which is all a much more glamorous story than that of a person I know who was forced into the trunk of a car at gunpoint in Chicago, driven to an ATM, and made to withdraw all possible funds before being driven somewhere else and dropped off into the cold Chicago night. You. 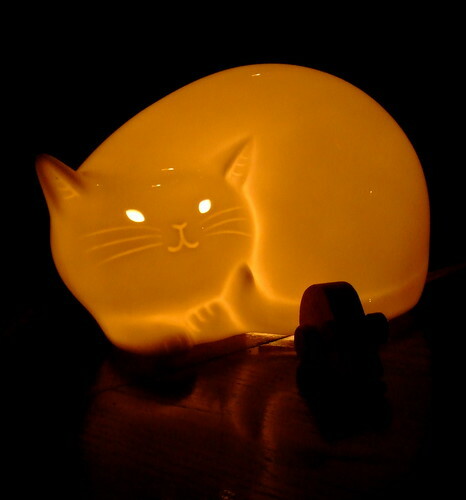 Need. 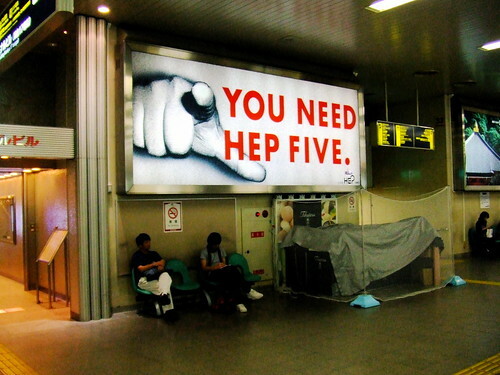 Hep. The last impressive billboard before being swept home by the last train. On my way to judge a highschool speech contest the other day, I witnessed the most fascinating thing. The girl across from me — a highschooler in uniform — was using a kind of roll-on gluestick to keep her socks properly hoisted. The process went something like this: 1) Remove bright pink ‘leg-glue’ stick from bag. 2) Push down sock to clear proper calf space for gluing. 3) Run a thin ring of glue around the entirety of your leg. 4) Pull sock up and press to stick. 5) Repeat with other leg. You now have a pair of perfectly wrinkle-free and properly elevated white socks with which to stun the world. Take note, fashionistas!